ー Compact Structure with Faster Clamping and Bigger Opening. 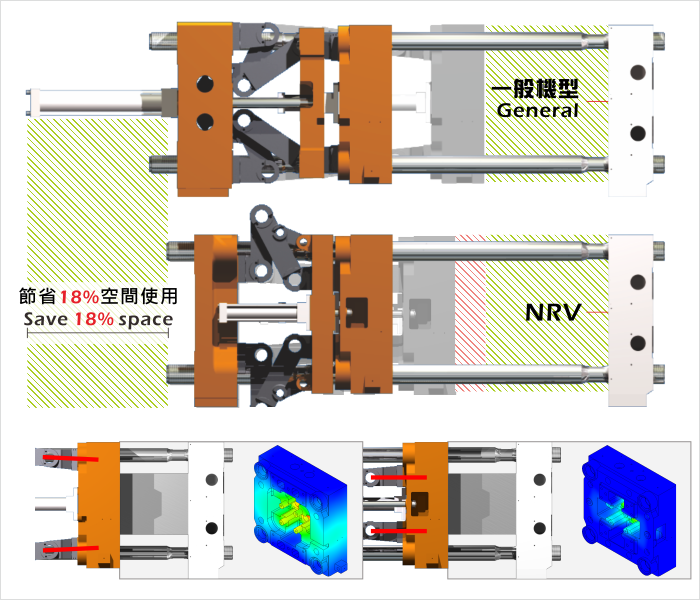 Shifted clamping cylinder reduced 18% machine length. Enlarged 20% of opening stroke. Precise alignment & centering ensuring parallel & collateral clamping movement. 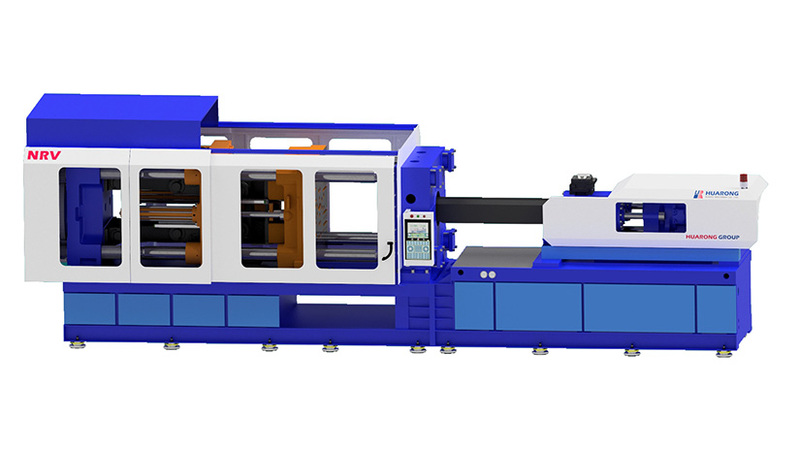 Advanced cylinder design brought accurate positioning, ensuring robotic automation. Center-forced clamping with 55% minimized deformation, by FEA.